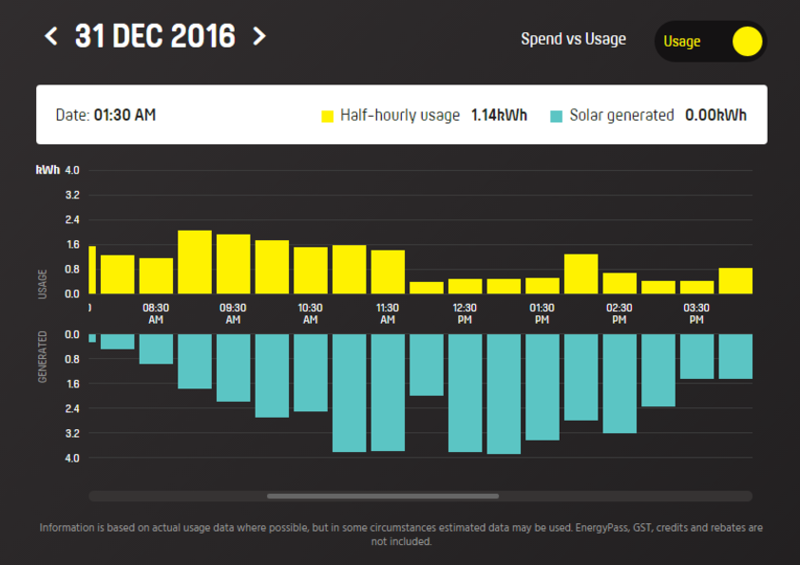 If you were a NSW Solar Bonus Scheme customer with gross metering on a Mojo smart meter, you may have noticed that the solar exports shown in your MyMojo portal reduced from 1st January 2017. This is because your meter switched from gross metering to net metering when the scheme ended on 31st December 2016. This means that the solar energy that you generate now powers your own home first, rather than all being exported directly to the grid. Although your solar exports have reduced, you’ll also notice that your overall energy consumption has reduced, since the solar system is now powering your home first. See the diagrams below for a further explanation. 1) MyMojo portal usage prior to the ending of the Solar Bonus Scheme. 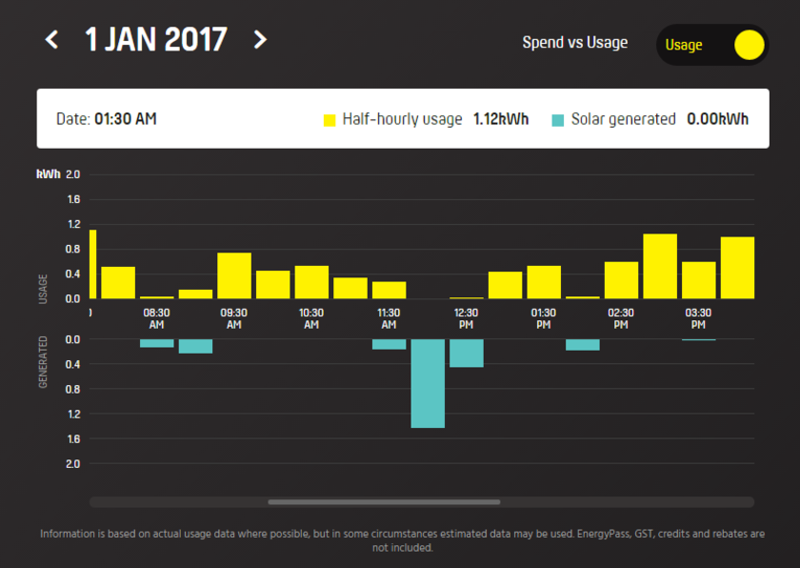 The yellow bars show the energy taken from the grid and the green the solar energy exported. As the system uses gross metering all the solar energy is exported to the grid. 2) MyMojo portal usage after the ending of the Solar Bonus Scheme. The green bars are now much reduced as the household consumes the solar energy first, rather than exporting it all to the grid. Any excess is still sent to the grid. As a result, the overall consumption is also reduced.